No idea where it is but it looks lovely! 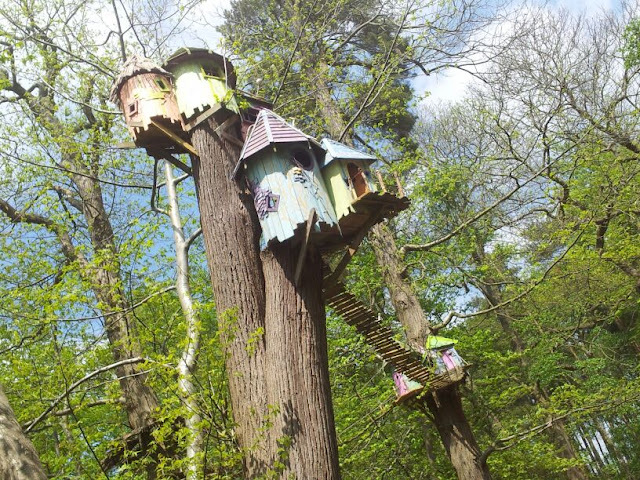 Birdhouses or fairy houses? Great picture. Is that where the fairies live. I love that it even has a bridge! Wow. I would love to live there! fairy tree houses, great shot! Are they for people to stay in? I do hope so that would be adventurous. They are so cool, where are they? Not sure what they are but this looks like the coolest tree house ever.